CityNews – A new research study led by the Pew Research Centre has found countries like Thailand and Myanmar to be rising on the list of religiously hostile countries. Around three quarters of the world’s population resides in countries where religion is highly restricted, with the Pew report finding that hostility towards religion worldwide has reached a six-year high. The research found six countries that were similarly scored for religious hostilities in 2011 – Thailand, Myanmar, Syria, Lebanon, Sri Lanka and Bangladesh – had all increased greatly by 2012. Of the 198 countries named as having a low, moderate, high, or very high level of social hostilities involving religion, Thailand now sits alongside countries like Egypt and Sudan in the “very high” bracket. Religious violence in Thailand is mostly carried out in the Southern provinces of Thailand, which have been experiencingan ethnic separatist insurgency for over a decade. More than 5,300 people have lost their lives in the region since the insurgency began. Although the Thai Constitution allows its citizens the right to freedom of speech, there are laws prohibiting insulting speech against Buddhism (the one religion significantly supported by the government). The 1962 Sangha Act specifically forbids the perceived defamation of Buddhism and the Buddhist clergy, of which offenders could face jail time or fines of up to 20,000 baht ($606 USD). The government of Thailand does not register new religious groups outside of the five existing religious governing bodies and their denominations it already recognizes, which are: Buddhism, Islam, Hinudism, Judaism, and Christianity. 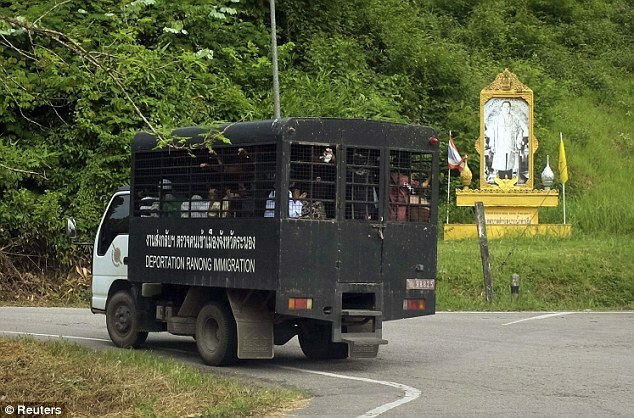 As thousands of Rohingya flee Myanmar to escape religious persecution, an investigation in three countries has uncovered a clandestine policy to remove Rohingya refugees from Thailand’s immigration detention centers and deliver them to human traffickers waiting at sea. It was not so long ago that Burmese monks dressed in saffron robes organised brave protests and peaceful processions against the brutal military junta led by General Than Shwe. It was dubbed the Saffron Revolution. In 2007, the monks’ Gandhian non-violent resistance was watched with awe, and commanded the respect of millions around the globe. But these images etched in our collective memory are hard to square with an ugly new reality: Buddhist gangs setting Muslims communities ablaze; acts of collective arson and racist brutality, with some monks playing a vanguard role in instigating this anti-Muslim campaign. How can the same religion known throughout the world for its commitment to peace, meditation, and reflection engage in hate-filled sermons against the Muslim minority? What has happened to the world religion that is above all other world religions, devoted to peace and non-violence? Has the year of the heroic monks of 2007 metamorphosed into some devilish distortion of Theravada Buddhism, forsaking tolerance and respect for all humanity, into a crassly xenophobic new creed that endorses killing Muslims in the name of Buddhism? 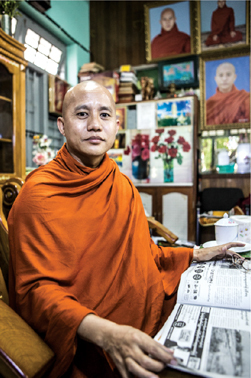 Most of the media coverage, Burmese and international alike, has narrowly focused on the anti-Muslim rantings spewed out by Buddhist monk U Wirathu, from a monastery near Mandalay. The leader of the ultra-nationalist movement known as “969” has claimed that Muslims commit virtually all the rapes reported in Burma, that their mosques and assets are being secretly financed by the Saudis, and that they will eventually take over the whole country. One of the most negative aspects to develop out of the newly democratic and open society of Burma is the use of freedom of expression and freedom to gather as a catalyst for ethnic and religious hate mongering. While ethnic tensions between the Buddhists in Rakhine state and their Muslim Rohingyan neighbours have been underlying for generations in both civil society as well as politically, the new open society has allowed for these tensions to be provoked into riots, violence and the destruction of Rohingyan villages in and around the capital of Rakhine state, Sittwe. This has led to a mass exodus of hundreds of thousands of Rohingya to Internally Displaced Persons (IDP) camps in outlying areas. The Burmese government has done little to quell the violence or to set up proper support structures within the camps, where conditions are extremely poor with little access to clean water and enough food as well. The Rohingya that have stayed in Sittwe are relegated to a cordoned-off neighbourhood called Aung Mingalar that is also referred to as “the ghetto.” It is controlled by state security forces that do not let the Rohingyans leave, making it nearly impossible for them to take part in any kind of commerce. These photos depict the day-to-day existence of Rohingya living in Sittwe. While the violence towards Muslims began here, it is now spreading nationwide, spurning a fear of Buddhist jihad as well as retribution by both domestic and foreign Muslims. The BPP sources report that Ho Main District in Lang Khoi Province of Myanmar has seen more than 5,000 rai (1,977 acres) of land opened up for cultivation of the poppies and that they are under the control and supervision of the Southern Shan State (SSS) and the United Wa State Army (UWSA). The raw opium is sold at 25,000 Baht ($833 USD) per joi or 1.6 kg. It is then delivered to heroin refineries under the control of the UWSA in Ban Khailuang opposite Tambon Thamlod in Pangmapha District of Mae Hong Son (Thailand). 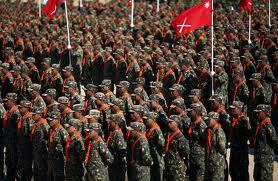 The Wa National Army, Shan State Army and Pa-o National Liberation Organization along with the SSS have been fighting against the Myanmar government and their patrols of drug routes and tax collection on opium has resulted in the change of refining areas.